Honeysuckle Dreams reminds me of Denise's earlier books, and that's an entirely good thing. The last couple of books didn't pull me in like they used to, but this one had me hooked right away! Brady and Hope's modern marriage of convenience seemed realistic and not at all contrived which was very refreshing! Neither of them had the easiest childhood, and both were still working through the scars of their pasts. Because of this, both of them entered their marriage with their eyes wide open but still unsure where everything would lead. Both of them loved Brady's son Sam, and they were willing to do whatever was necessary to give him the happy childhood that he deserved. As Brady slowly romanced Hope and their relationship became all too real, he had to decide if he was willing to risk opening up to someone else after his first failed marriage. Hope's previous relationship ended more tragically, and she dealt with a lot of anxiety from that. Her inner turmoil caused a lot of the issues in her marriage, but she was still a likable character, and she's very relateable in her inability to face her own issues. I appreciate that Denise didn't shy away from showing how anxiety and PTSD can manifest itself at the most unexpected times. It's a very real issue that many people deal with every day, and the subject is given the weight and respect that it deserved. As is the case with a lot of romance novels, Brady's and Hope's differences could've been handled with one honest conversation, but then we wouldn't have all of the wonderful tension and drama that led up to such a sweet ending! It was definitely worth the wait, and the conclusion is very satisfying. I, for one, appreciate a good epilogue too! 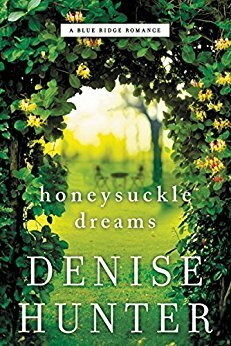 I highly recommend Honeysuckle Dreams for both those that already love Denise and those who are just discovering her beautiful stories! After Brady Collins’ ex-wife dies, he receives devastating news—his nine-month-old son Sam isn’t his son at all. And Sam’s wealthy maternal grandparents want custody of the child. Brady knows he’s in for the fight of his life. But regardless of what any blood test says, Sam is his son, and Brady will go to any lengths to keep him. Brady’s attorney tips him off that one major life change would virtually assure him of winning guardianship of baby Sam at the final hearing: an impending marriage. And his friend Hope is willing to step in as the loving and devoted fiance. Local radio celebrity Hope Daniels has been driven by a solitary goal her entire life, and after a happy accident she’s finally offered her dream job. But if the truth comes out about her arrangement with Brady, she may miss the chance of a lifetime and stand in the way of a dear friend’s dreams. As Brady and Hope make sacrifices to help each other in their times of need, they risk uncovering a truth neither of them expects to find. *I received a complimentary copy of this book from Thomas Nelson through NetGalley. Opinions expressed in this review are completely my own. I'm intrigued by this story because it has some heavy duty story lines in it. I see such a variety of preferences from readers that I'm always curious to see these kinds of novels--they definitely have a market. It almost sounds like Women's fiction but clearly a romance. 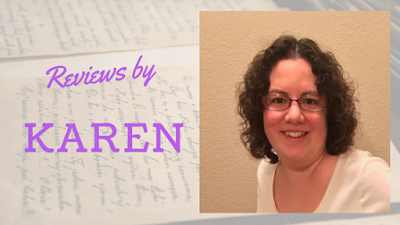 Thanks for reviewing it, Karen! Great review--this book sounds so intriguing! Love the cover, too. Thanks, Karen!